INDOORS OR OUTDOORS, WE COME TO YOU! A fun way for your child to celebrate his/her birthday. Jitterbugs provides 45 minutes of entertainment. The children will experiment with instruments such as: bongos, rhythm sticks, egg shakers, and wrist bells. They will participate in bean bag activities and dance with scarves. 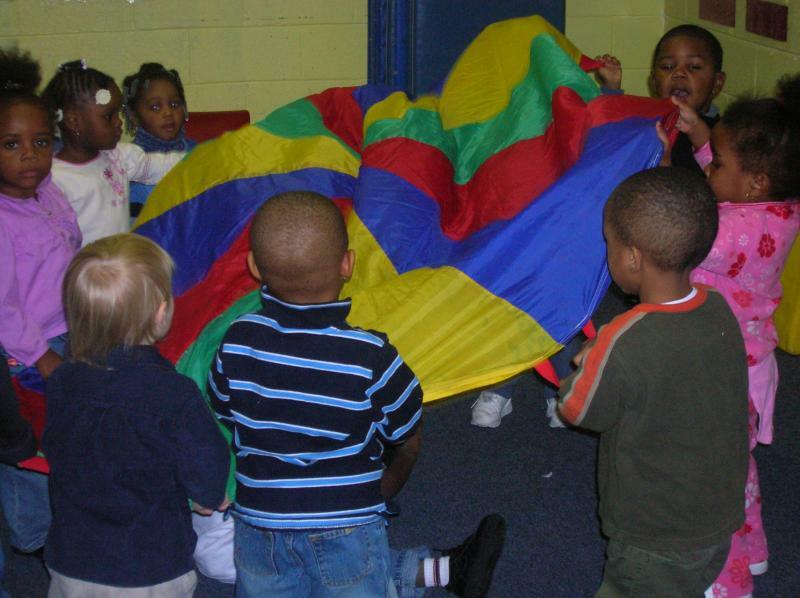 They will also play parachute games. Each party is personalized for the birthday child. You just tell Jitterbugs what your child's favorite songs are and what the theme of the party is and we'll be sure to give your child a special birthday. The birthday child will receive a gift bag with assorted instruments. Gift bags will be provided for an additional fee of $5.00 per child. Note: an additional fee may be applied for travel. We will bring live animals and animal artifacts. The children will get a chance to see and learn about different animals. This can be combined with a music birthday party for $200.00 for an hour. Russian tortoise, guinea pig, hermit crabs, bearded dragon, rabbit, crickets, frog.